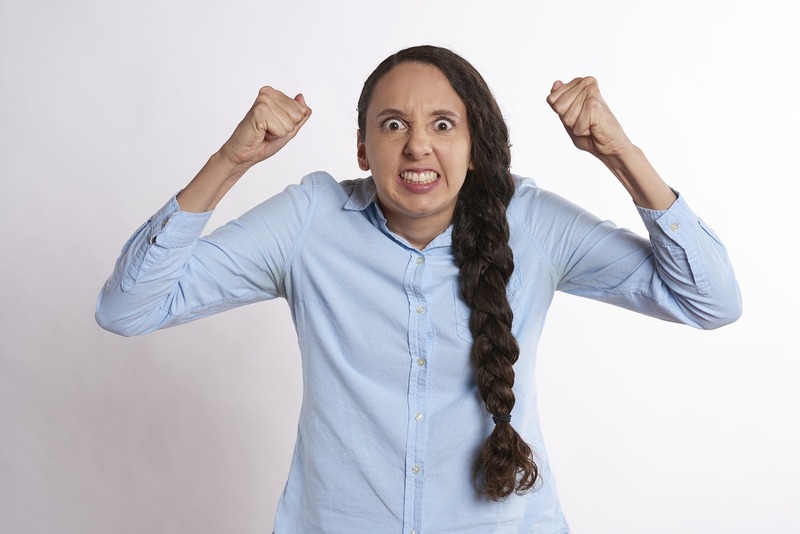 Is Frustration Ruining Your Peace Of Mind? Manage Life’s Challenges with Greater Ease and Calm. Who has not found themselves irritated or dismayed about things happening in their lives? Frustration is more common and socially acceptable than anger and rage but it fulfils a similar function and if chronic is also very damaging. The ‘Benefits’ of Being Frustrated. Whether directed at yourself or others, frustration provides a release of energy and discharge of stress. The explosion of pent-up, unexamined discontent simmering beneath the surface gives a temporary feeling of empowerment. It also acts as a block to painful emotions like anxiety, self criticism, hurt, guilt or shame that may be covered over by frustration. But the damaging effects of being frequently frustrated far outweigh the temporary relief from stressful feelings. Like anger, frustration can become a habit and ‘go to’ response whenever life does not run smoothly. It does not make for pleasant company, but worse, persistent dissatisfaction with things as they are can result in adrenal burnout, depression and other emotional and physical consequences. If other people are frustrated by something you did or did not do, their displeasure can easily turn into conflict, threats or bullying. There may be physical, verbal and psychological ramifications, such as social exclusion, extortion, intimidation. Especially if there is an imbalance of power between a dominating individual in a position of power and a less aggressive person. The challenge is to cope without being destroyed. It requires a calm and assertive response, refusing to cower and resolving not to be swayed by the onslaught of others’ negative energy. This might require standing your ground or not engaging until more reasonable communication is possible. Revamp your Attitude when you Find People Frustrating. People may not behave as you expected. You may need to deal with their mistakes or shortcomings. Get mad? Blame? But nobody is perfect. A mistake can be a blunder or blooper, an unintentional oversight, a bad decision due to lack of knowledge or inattention, appalling judgment, not enough thought. Most people do not offend on purpose, taking it personally only aggravates the situation. 1. Focus on a specific issue and describe how you feel about their behaviour or the situation. 2. Listen to their point of view without judgment, interrupting or reacting strongly. 3. Consider their possible reasons for behaving the way they did. 4. Respond with clarity and compassion. Be specific and validate if they made an effort but did not quite succeed. State your needs and look for mutual resolution to the issue. Use a Constructive Viewpoint for a Frustrating Situation. Your expectations may be dashed. You may not get what you want. Things may not be happening according to your timetable. They may not be done as you thought they should. You may be on overload, too little time, too much to do. Remind yourself about what you can control and what you cannot control. You can control your own reactions and actions. What happens outside of you is based on many different factors you have no influence over. Accept the reality of the situation; even though you may not like it, it is what it is. Ask yourself: What can I do about it? How can I be in it without getting overwhelmed and irate? Change how you view the event. Look at the bigger picture. Is this situation really important or is it a small moment in the big scheme of things? Increase your Tolerance, Patience and Tranquility. Reflect on whether frustration is actually doing anything. Is it changing things for the better? Does it have a positive effect on people and the outcome of situations? Does it make you think more clearly, give you more control in the situation? Or is it upsetting your equilibrium without actual benefitting you? Take charge of your energies. Think of them as money in a bank account. For most people, the supply is limited. So it is with psychic energy: the more you deplete it, the more drained and wound-up you will get. Is it worth sweating the small stuff and spending precious energy as if it does not matter? Resist habitual frustration. Life can be frantic and circumstances more than challenging. But letting them aggravate and upset you does not alter anything. No matter what you encounter, keep your cool and detach from the drama. Learn strategies for problem-solving and conflict resolution. Take your power: Choose the kind of person you want to be, how you want to be in life, what you want your inner state to be, what kind of image you project – that of a person in charge of themselves or someone triggered into frustration by external factors. What is your experience with frustration? How do you deal with challenging people or situations? What have you found useful? Christiana is a counselling psychologist and writer with strong focus on self-help, empowerment and personal transformation. Combining professional experience with a spiritual outlook on life, her work offers new perspectives, insights, practical tips and easy strategies that can be applied straightaway. When she is not writing, Christiana can be found in nature: tending her fruit and vegetable garden with various degrees of success or exploring Sydney’s beautiful Northern Beaches with her very quirky little dog.